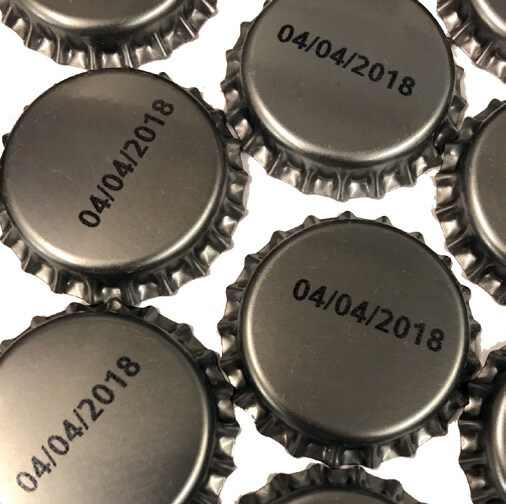 To meet a new regulation requiring “best before” date coding on their beverages, a small bottler needed a new, automated marking system. Because of limited staffing, the ideal system required minimal maintenance and operator intervention—yet could still keep up with their 4,000 bottles per hour output rates. Matthews Marking Systems installed a low-maintenance thermal inkjet printer with cartridge-based ink supply and managed by the MPERIA® marking and coding automation platform for ease of message creation, system control and future expandability. Matthews recommended the installation of a single, easy-to-use VIAjet™ L-Series thermal ink jet (TIJ) L12 0.5-inch tall printhead with cartridge-based ink supply. The system marks variable data at a higher printing resolution (600 x 600 dots per inch) than CIJ printers for maximum clarity, and at speeds up to 1,200 feet per minute. 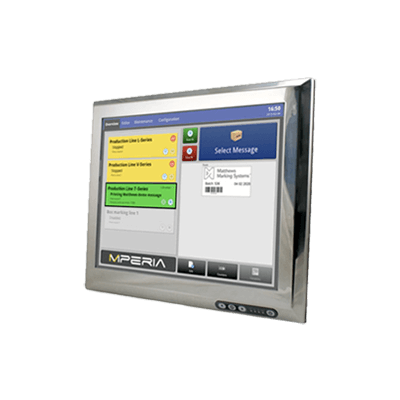 Managed and controlled by MPERIA®, Matthews’ marking and coding automation platform, the company selected a 7-inch touchscreen graphical user interface (GUI) for simple input of coding information. MPERIA® supports marking in multiple languages; messages can be created, selected and printed without requiring any special operator training. Further, MPERIA® supports any future expansion of production, easily supporting the addition of more printheads should output levels increase. Additionally, the VIAjet™ L-Series printer’s only maintenance requirements are routine ink cartridge replacement to refill its ink supply (a process that takes between 10 and 20 seconds) and an occasional cleaning. Installation took less than a day and only required the mounting of a printhead bracket to the side of the existing conveyor line. In addition to meeting the new regulatory coding requirement, the beverage bottler is extremely satisfied with the ease of control and message creation provided by MPERIA®, as well as the low maintenance needs and high-resolution output of the VIAjet™ L-Series. The entire system takes one operator less than a minute to start up, select a message and begin printing in line with the day’s bottling run. Further, because the single L-series printhead can run at significantly higher speeds than the current production line demands, the unit can keep up with potential output increases. Should the company decide to add more bottling lines, the MPERIA® system can easily control multiple printheads, making the entire system future-proof.